Sooner or later, everything needs replacing. That is as much true for a pair of sneakers as it is for the family car. It also applies to office furniture. Chairs, desks, credenzas, shelves and tables all serve a purpose in an office space. But as staff needs change so can the furniture. The question then becomes what to do with old office furniture. It might not have a lot of value for resale. Because of that, it simply becomes rubbish in the office. That would be rubbish that you are paying to keep stored. Wouldn’t it be nice to get rid of that rubbish and open up that storage space? The best approach for reliable office furniture removal is to hire Junk King Albany. The most important element with any type of office furniture will is the movers. If you are just getting rid of a few old chairs, then one mover can probably handle the job. However, it might take them twice as long. Junk King always dispatches a two-man moving crew for every one of their appointments. This is a team that has been licensed and insured. They also know how to efficiently move heavy objects without damaging property. That’s very important at the home and at a commercial space that are renting. Junk King crews can also take apart various office furniture pieces like wall units or tables. The first goal is getting all of that stuff onto the freight elevator. The second goal is packing it tightly onto the Junk King truck. That is going to determine what your final fee will be. Junk King has a price scale that is based on volume and not weight. That volume comes down to how everything is going to fit on to the Junk King truck. The Junk King team knows how to pack up a truck tightly. The less room they utilize the less you will be paying. You can figure out a range of the price using the online pricing estimator. But that final fee won’t be determined until the crew is at a chance to look over everything in person. You’ll find that it’s a very fair and affordable price for the service. Take care of your office furniture removal needs with one call to Junk King Albany today. Your office can be cleared by tomorrow! This entry was posted in Albany Junk Removal and tagged Junk King, junk removal, office furniture removal on March 31, 2019 by Junk King. Last updated March 31, 2019 . There are really two kinds of hoarders: Those who don’t want to get rid of rubbish and those who do but just don’t have the means to do it. The first type of hoarder is someone who not only needs cleanup help but also intense therapy. Many extreme hoarders can be helped by a therapist who can get to the core issues of why they feel the need to hold onto things that are obviously worthless. With the other type of hoarder, rubbish and clutter could have simply piled up over the years in a garage, basement or closets. To get rid of all that rubbish would mean moving help and a big truck. That is the exact type of solution that Junk King Albany can provide. One call can set a plan into motion that will have any level of hoarder mess cleaned up in a single session. Before setting up your appointment with Junk King, you should take the time to go through all the storage areas in your home. Remember, you don’t have to move things around the make it easy for the team from Junk King to load it onto the truck. They’ll pick up things wherever they are and that includes upstairs on a second floor or down in the basement. This is the big benefit with Junk King: They’re going to do all the work. This is what you’ve been waiting for! 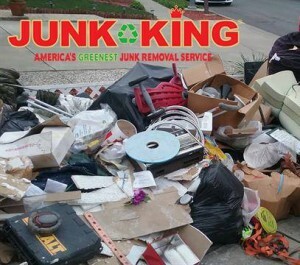 Once you have a general idea of what you’re getting rid of, you can talk to Junk King. They want to make sure that you’ll have all the crew and trucks you need. Because they’ve been at this kind of work for so long, they know what it takes to clear things out. They won’t have any problems sending over extra movers or trucks. They want to make sure everything is gone in a single session. Before the crew begins work, you’ll want to work out the price. This will be determined by how the team will pack up the truck. It is all about the volume with Junk King. When you need a hoarder level cleanup, Junk King Albany will always be your best solution. 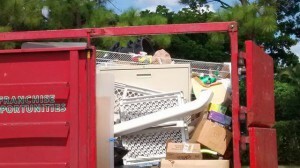 This entry was posted in Albany Junk Removal and tagged hoarders, Junk King, junk removal, rubbish on March 24, 2019 by Junk King. Last updated March 24, 2019 . Most people think that the first step for their spring cleaning task would be to check to make sure they have all the cleaning supplies ready to go. Although that is very important, there is one step that you could do before that which might help the process even more. That would be hiring Junk King Albany for a junk hauling session. By clearing away all the unwanted clutter and rubbish in your home you will make room for more storage and find it easier to do the deep cleaning for spring. Junk King wants to make the rubbish removal process as smooth as possible. You may think that it is complicated because some of the things you want to get rid of are extremely heavy to move. Or they may be located in a part of your house that doesn’t have easy access like the attic or the basement. While that may be a challenge if you were doing the work by yourself, it won’t be an issue for the team from Junk King. This will be to capable movers who won’t have any problem lifting and loading all kinds of furniture or appliance. And that means lifting and loading from any room in your home. Your only task is to decide what you want removed. 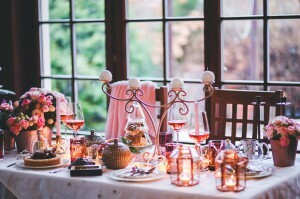 Knowing that there’s no limitations could change your initial thoughts about getting rid of some items. You also shouldn’t hesitate with turning over something that might still be useful to another family. Junk King understands how important it is not to let anything go to waste that could be repurposed. That’s why they make dropping off items to a charity a priority. A lot of these organizations employee locals to refurbish or repair items. They then are either donated directly to the family you need or sold in a thrift store. All of this benefits the charity and it is something that they depend on throughout the entire year. Are you ready to schedule Junk King? One phone call or a quick visit to the website can take care of it. Get your spring cleaning started right with the junk hauling session from Junk King Albany and watch how the home can be transformed. This entry was posted in Albany Junk Removal and tagged Junk King, junk removal, spring cleaning on February 28, 2019 by Junk King. Last updated February 28, 2019 . There is a 2-acre site at Broadway and Clinton Street in downtown Schenectady that has been targeted for a cleanup. This is no ordinary “pick up the trash” kind of cleanup but instead a clean that will cost around $10 million. The former coal gasification site is currently being used as a parking lot. However, there is an issue with coal-tar contaminated soil that will have to be removed. It is estimated that it will be around 500 truckloads that have to be dug up and disposed of and then replaced. It is a major undertaking to be sure. When it comes to cleaning up your Schenectady home, you probably don’t need to 500 trucks or $10 million dollars. It might only take one truck from Junk King Albany and one fast and affordable junk removal session. This is the kind of cleanup help you can always count on. The trucks used by Junk King has the hauling capacity that is equivalent to six pickup trucks full of stuff. Is that enough space to get rid of all your unwanted clutter? When you set up your cleaning session with Junk King, you’ll be assigned two strong movers. This will be the team that is going to do all the heavy lifting for your project. They’ll be able to swiftly cart away any old sofa, futon or recliner that you’re eager to get rid of. Even if those items are down in the basement or up on the second floor of your home, they won’t present a problem for the Junk King crew. Before the work begins, you’ll want to lock down the fee. Here is where the affordability part of this process comes into play. Junk King has a pricing policy that is based on how all your items will fit onto the truck. The crew will be able to instantly size up everything and know if it will take up a third, a half or the whole truck. You’ll be presented with a fee that reflects that volume. Easy. And this is price that is not going to have any extra charges. One flat fee for all the work. Get cleanup help for your Schenectady home from the always reliable Junk King Albany. It’s the only way to go for junk removal. This entry was posted in Albany Junk Removal and tagged cleanup, Junk King, junk removal on February 23, 2019 by Junk King. Last updated February 23, 2019 . This is the time of the year when a lot of new things are coming in nearly every Schenectady home. Those new things could be electronics, appliances, toys, clothes or any other fun gadget that Santa decides to leave under the tree. For every new thing that comes into your home perhaps an old thing should go out. That would certainly apply to any appliance or electronic that has been replaced. Sometimes, getting rid of all the old things requires more than just the weekly trash pickup. That’s where Junk King Albany can make a big difference. These are the junk hauling experts that can help you clear out your Schenectady home of all your old unwanted stuff in no time at all. 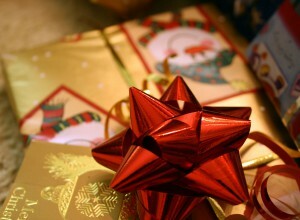 After Christmas is a good time to take an assessment of how much storage space you have left in your home. Instead of shifting things around again maybe it’s time to get rid of some of that stuff that’s clogging up the closets and the basement. Junk King will send over a team of movers and a big truck that will be able to haul away just about anything you want to get rid of. In fact, the Junk King truck can hold the equivalent of six pickups. You don’t have to worry about lifting any of that stuff because the Junk King crews are going to handle that from start to finish. That might have a big impact on what you going to get rid of. It doesn’t just have to be some outdated electronics but also some big pieces of furniture that have finally worn out their welcome. Not only will the Junk King crew be doing the heavy lifting for you but there also a team that is licensed and insured. They been trained to spot all those things that can be recycled or donated. That goes towards Junk King’s philosophy of environmentally friendly disposal. They don’t want to see anything going to landfill that doesn’t have to. This is how Junk King is been operating ever since they began collecting junk back in 2005. It’s a proud history of supporting the environment of local communities throughout the country. The fastest and most efficient way to get rid of junk from your Schenectady home is to give the job to Junk King Albany today. This entry was posted in Albany Junk Removal and tagged Junk King, junk removal, Schenectady on December 22, 2018 by Junk King. Last updated December 22, 2018 .